October was a special month in the life of the Church. While the world and specifically the United States has been reeling and rocking for the past few months as a result of the Alt Right Protest in Charlottesville, the aftermath of the Hurricane Season in the Caribbean and specifically Texas and Florida in the United States, followed by the fire storm of the NFL protest controversy many have forgotten about the 500 Year Anniversary of the Reformation. For some something 500 years old might seem antiquated and non important but the legacy of the Reformation and what she meant for society as a whole in the 1500’s and how The Reformation transformed the Church Universal is significant for us to observe, celebrate and talk about today. In Fact, if we observed the Reformation and what she meant we might not we fighting those socio political fights that we are experiencing and reliving today. The Reformation was really a call for Sola Fide-By Faith Alone, but the practical application of that principle was Sola Scriptura. Sola Scriptura was intended to safeguard the authority of scripture from dependence upon the church that made Scripture inferior to the church. The Reformation is important because the Reformation called the Church back to the Word of God instead of the traditions and teachings of a Church or denomination. While all churches or denominations teaching and theology should be rooted in the Bible, we have to admit that sometimes it’s easier to follow sound human teaching versus the word of God. It’s it easier to read books, journal articles and magazine articles than it is to sit down and read the Bible. It takes work to read, study and live the Bible. The Reformation turned the Church back to the Bible. Martin Luther a monk who was serious and intense about faith took action that sparked a theological Reformation. Martin Luther was born on November 10, 1483 in Eisleben, Saxony, the son of a middle class silver miner. 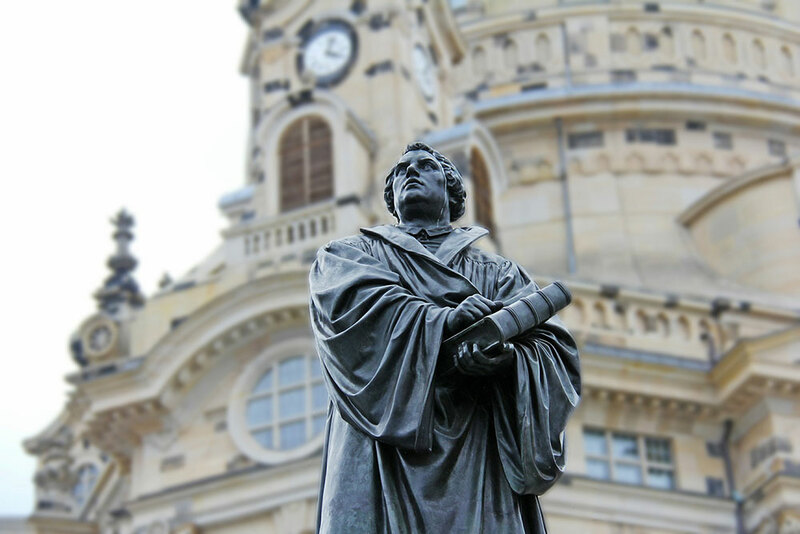 Luther was destined to study law as a student and practice the law as a career. However Luther found comfort and solace in the monastery and found a new understanding of God, faith and the church. It takes a personal experience with God to find our purpose and mission in life. Luther found his mission and purpose in life and became the leading actor in the way the Church viewed Epistemology and authority. Martin Luther never viewed himself as a revolutionary or a reformer. He was simply a monk who had an encounter with God and had a Biblical, Theological and Philosophical problem with the selling of indulgences. An indulgence at the time in Roman Catholicism was a way to reduce the amount of punishment one would undergo. The indulgence determined the time one spent in purgatory. In that time period when one died it was believed that the person had two possible destinations, heaven or hell while the pit-stop would be purgatory. In purgatory it was determined how much sin you had committed. The purchase of the indulgence according to the Roman Catholic view (at that time) would determine your length of stay in purgatory before going to heaven. Luther disagreed with the practice and true to form wanted to create a dialogue about the indulgences. Luther who was an academic sent the Theses attached with a letter to Albert Brandenburg, the Archbishop of Mainz on October 31, 1517. However, he also posted 95 Theses or Disputation’s on the Power of Indulgences, a list of propositions for academic dispute on the Door of the All Saints Church and other churches in mid-October. The theses were re-printed and translated and distributed throughout Germany and Europe and caused uproar. When Luther questioned the practice of selling indulgences, it sparked a theological conundrum not even Luther was prepared to receive. By 1521 Luther was excommunicated (kicked out) from the Roman Catholic Church. The Reformation literally started as a simple disagreement with a Church Practice. It became a movement that questioned where the church’s authority came from. After the Reformation, Church Tradition and Councils no longer spoke for the Church. The Church after the Reformation found its authority in the Bible. Without the Reformation there would be no Protestant expression of the Christian Faith.